Tove Bowyer was born in Frederikssund, Denmark but has lived for most of her life in London, although she now has a second home and workshop in Denmark and commutes between the two places. She works in wood, usually simple female forms which are often lifesize, with a very smooth finish. 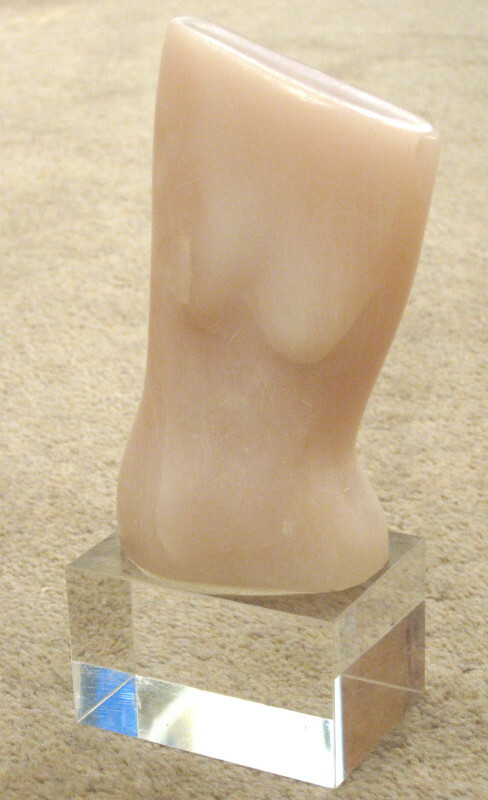 She also works in stone with a bronze surface, some of which are also cast in bronze. More recently she has started making figurative reliefs. She also works as an art model. Exhibitions include Gallery Dragehoj, Denmark, where she was artist in residence in 1994; Kunst I Brande, Denmark; Primavera, Cambridge; the Danish Embassy, London; Rosenlund Lolland, Denmark; Gallery Bella Visat, Denmark; Artsite, Bath (solo show); the Rookesmore Gallery, Bath; Gallery L , Hamburg; Bodern, Denmark; Amalgam, London, Michaelson & Orient; Open Eye Gallery, Edinburgh; South Hill Arts Centre (solo show); Leeds City Art Gallery; Running Ridge Gallery, Mexico; Saga Scandinavian Gallery, London; Galerie Der Kunsthandwerker, Hamburg; Peter Dingley, Stratford upon Avon; Scottish Gallery, Edinburgh; Long Street Gallery, Tedbury; Den Permanent, Copenhagen; Westminster Gallery, U.S.A.; Running Ridge Gallery, U.S.A.; Den Permanente, Copenhagen and Haringey Central Library, London.